By visiting this post, as you can see Guide To Vaping did away with the theme it became recognized with for almost 3 years. It was time for a face lift, as well as some code updates on the back-end of the site. With this new theme, I’m able to share content much easier and you’re able to view it easier as well. 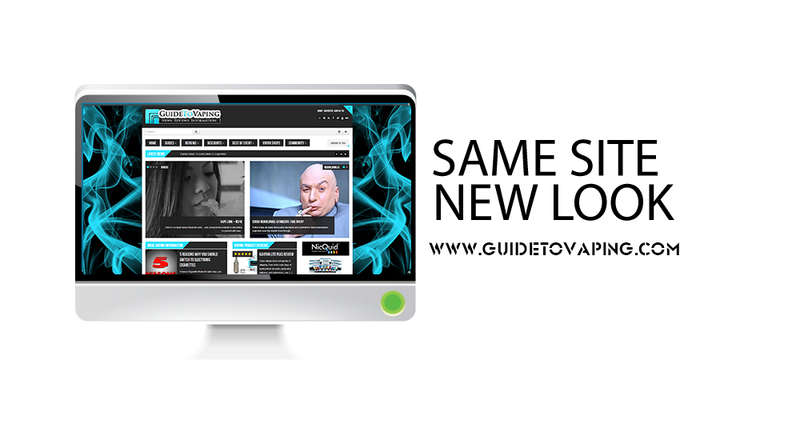 The site has become a bit more user-friendly, mobile friendly, as well as focusing more towards the vaping community with added features like sharing your status, view other GTV members activity, befriending, groups and finally a forum that is built into the site. Though I’ve stuck with the same look this whole time, I continuously try to make new changes to interest you all. Some changes survived, others didn’t… so going with the 3 years of time I have on this site, I really believe that you will enjoy the look, changes, and added features. If you’ll notice on the right and above the date, there are 2 buttons to select – one button is to register and the other is to login. After you register/login, you’ll be able to participate with the community here on Guide To Vaping. By hovering over the “Community” navigation button, you can visit our forums, update your status, check the activity of other members and even join groups with other members. I appreciate all of you who participate with Guide To Vaping and it honestly brings me joy knowing that I’m able to produce content many of you find informative and entertaining. – Vape on my friends!